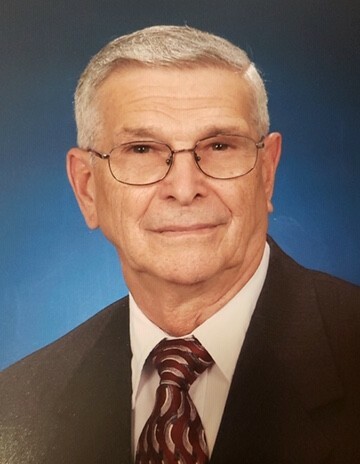 James Leland “Jimmy” Scott, age 84, resident of the Macon Community and husband of Flora Lee Miller Scott, departed this life Friday, March 22, 2019 at the Baptist Memorial Hospital in Memphis. Funeral Services for Mr. Scott were at 2 P.M. Monday, March 25, 2019 at the Peebles West Funeral Chapel at Oakland with Bro. Curry Montague and Bro. Ray Peters officiating. Interment for Mr. Scott was in the Macon Cemetery in the Macon Community. Arrangements were provided by Peebles Fayette County Funeral Homes & Cremation Center – West Chapel at Oakland. Jimmy was born on September 13, 1934 to William T. Scott and Nellie Pleasants Scott. He was a 1952 graduate of Fayette County High School and a retired United States Army Veteran. He was a lifelong resident of Fayette County and was a member of the Macon Church of Christ. He was employed in the production department for Kimberly Clark before his retirement. On April 16, 1978, Jimmy married Flora Lee Miller and they enjoyed 40 wonderful years together. He loved working with his brother at Scott’s Grocery and enjoyed spending time with his nieces and nephews. Mr. Scott is survived by his wife, Flora Lee Miller Scott. In addition to his parents, he was preceded in death by his brothers, Melvin Scott, Johnny Scott and Thomas Scott. Those honored to serve as pallbearers were Dennis Smith, Donnie Peak, Ronnie Morris, Glenn Miller, Stanley Bobbitt and David Smith. Honorary pallbearers included Joshua Culver. The family requests that memorials be directed to the National Stroke Association, 7272 Greenville Avenue, Dallas, TX 75231.